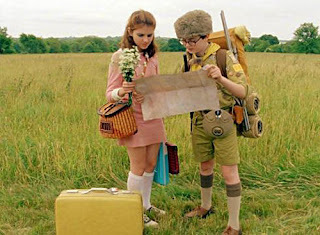 The films of Wes Anderson exist in their own little world, and what a strange little world it is. As shown in his “Rushmore” and “The Royal Tenenbaums,” it is an eccentric, colourful world populated with flawed individuals who wander about in unfashionable clothing and whose every reaction is almost a non-reaction. It is soundtracked by laid-back folk tracks and British rock tunes. It is dryly comical, not that its glum-faced populace notices too much. Ever the auteur, Anderson lets us view this world from a meticulously chosen vantage point from which the composition of everything in sight appears strangely symmetrical, which gives it an aesthetic that is amusingly, boldly artificial.